You may have noticed that effects pedals, such as distortion and envelope filters, sound different when you adjust the volume on your electric guitar. You’ve spent hours dialing in distortion and made sure to mark the setting on your effects pedal. And then you lower the volume on your guitar, and the effect sounds different, maybe there’s not as much high frequency or the effect is not responding the same way to your playing. This can become frustrating as you spend additional time adjusting your effects pedals’ settings, and adjusting your playing style to get the same sound from your effects pedals. One solution to this problem is to place a volume pedal at the end of your effects chain, and keep the volume knob on your guitar at full output at all times. However, all volume control must be done with the volume pedal in order to maintain consistency from your effects pedals. Another solution involves the use of an effects loop built into the guitar, similar to an effects loop you would find on an AMP, with a SEND and RETURN, but instead the loop exists inside the guitar, and the volume knob on the guitar comes after the effects, rather than before. 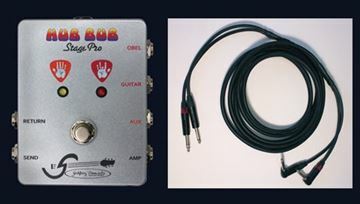 Credit for coming up with this idea is attributed to Jerry Garcia, and the term OBEL, or On Board Effects Loop is widely used to describe a guitar that has this optional feature. Guitars that have an OBEL also have the ability to bypass the effects loop, or not use it at all. Using an OBEL allows for consistent response from your effects pedals/processors at any guitar volume. Additionally, it allows you to completely bypass your effects loop, allowing you to play your guitar with clean tone, and then with the flick of a switch on the guitar you can send the guitar signal to your effects chain. 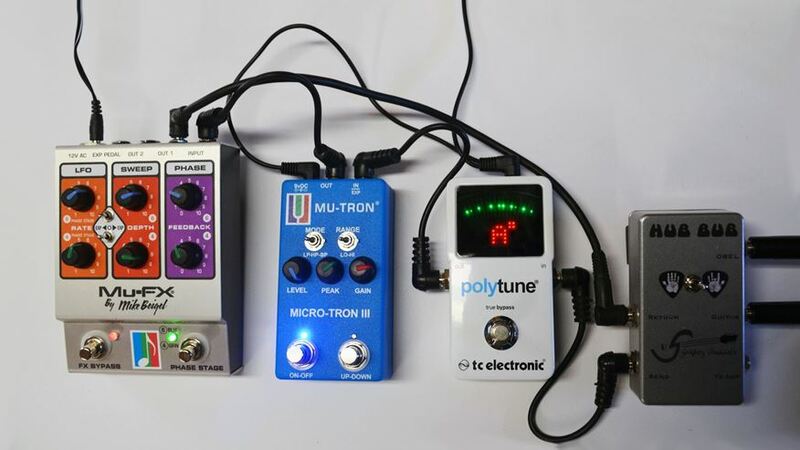 The On-Board Effects Loop is a wiring design inside the guitar which uses a separate 1/4" stereo jack on the guitar, allowing the direct output from the guitar pickups to be sent on one side of a connected stereo cable to the input of your effects pedal chain. The effected signal from the output of your effects pedals goes back into the guitar on the other side of the stereo cable to the volume knob, and then out of the guitar output jack to your guitar amplifier, allowing you to adjust the guitar volume after being processed by your effects. 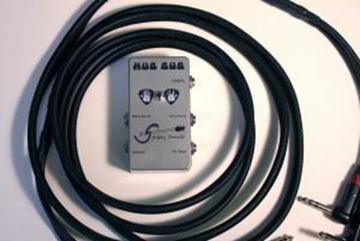 Yes, you do not have to use the OBEL in order to plug in your guitar to your effects. You can simply bypass the OBEL using the OBEL bypass mini-toggle switch on the guitar and use the guitar as a standard electric guitar with your effect pedals plugged in-line between your guitar output jack and amplifier. 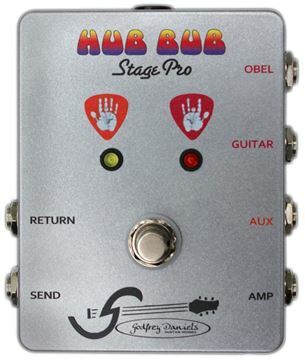 Do all effects pedals need to be in the effects loop, in other words, can an OBEL equipped guitar have some effects in the effects loop and other effects outside of the effects loop? Effects like delay, reverb, noise gate, limiters, and compressors can be placed inline between the standard guitar output jack and your amplifier so that those effects are always on and/or always accessible to you whether the OBEL is engaged or bypassed.